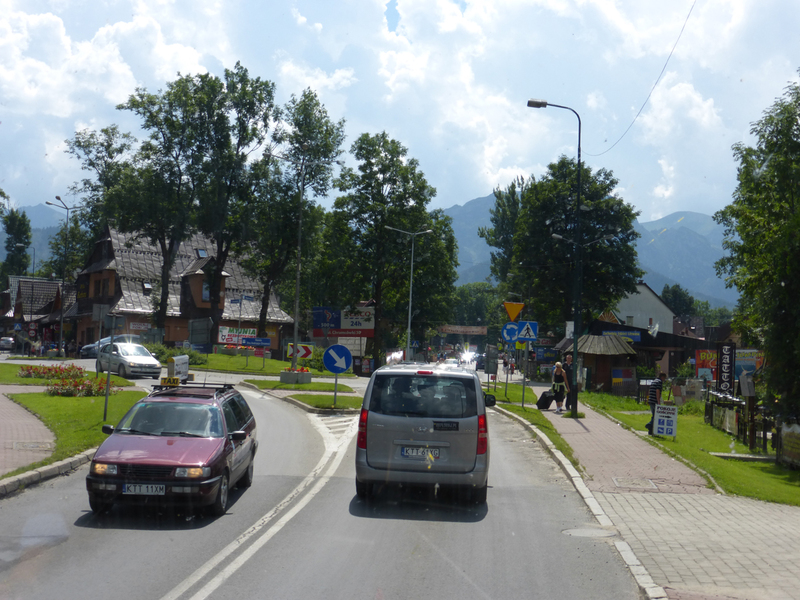 Zakopane is a popular mountain resort in Poland. In the winter people go there to ski. In summer, they hike or just enjoy the mountain air. 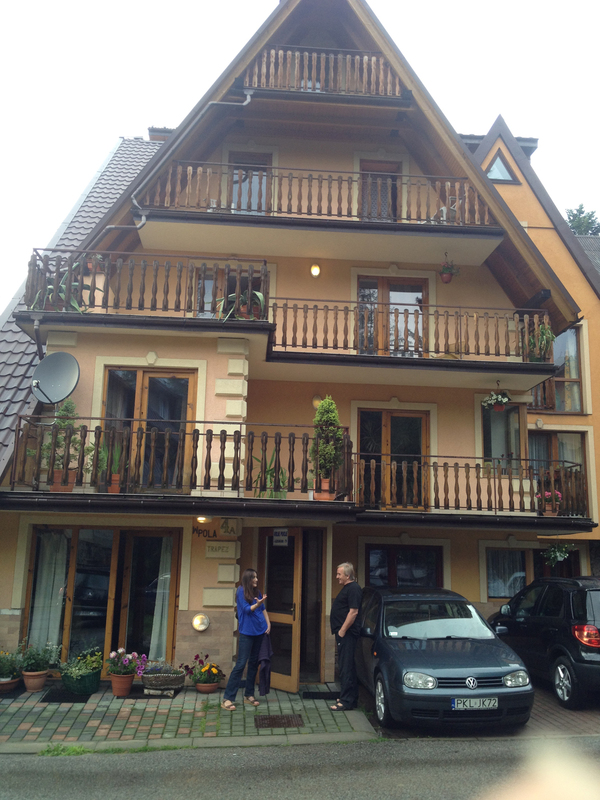 My friend Dorota suggested we go for a couple of days, so I met her there. I got there ahead of my friend and had left my kitchenless dormitory-acting-as-a-hostel early, so upon arrival, I walked around the center of town in search of food. A short walk behind where my bus pulled in, I found a cafeteria-like restaurant. I was saving my nicer sit-down meals for when I wasn’t alone, so this was a good option for me at this time. 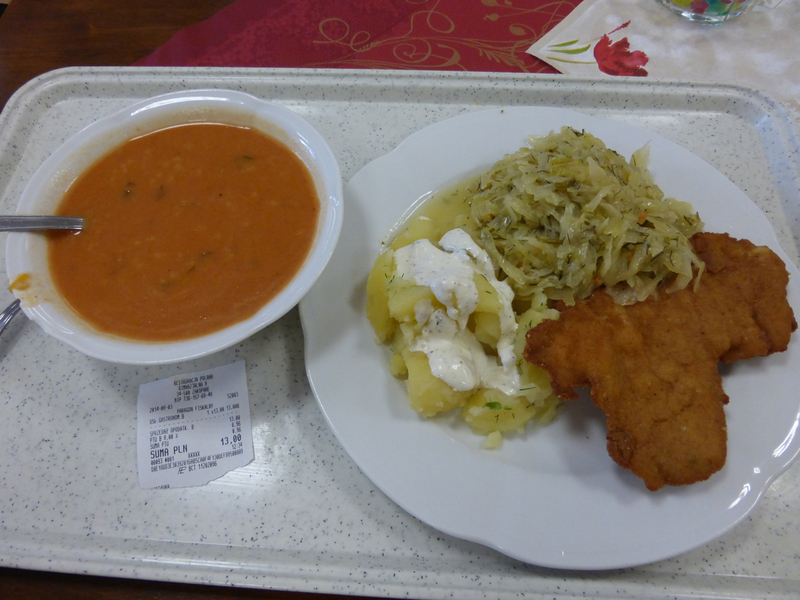 13 zloty, $4, for soup, schnitzel, sauerkraut, potatoes if I recall correctly. Then I just wandered a bit more. My online search for a hostel to stay at only found places that were 5k or so out of town. Great for an in the woods stay, but not what we wanted on this getaway. As with so many places I’ve been to, people approached me offering places to stay while I hung out near the bus area to await Dorota’s arrival. When traveling alone, I don’t typically feel comfortable following a stranger to an unknown destination, but in this case, I was with a Polish citizen who knows the town and language. (Traveling with two men on the islands of Croatia that’s pretty much how we found each night’s accommodation.) In this case, I spoke to people and listened to prices. 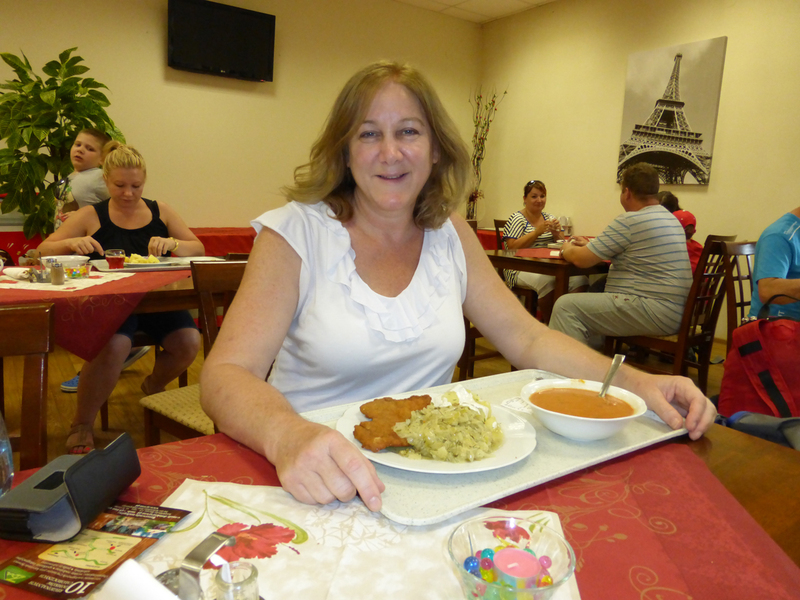 Then when Dorota arrived, she discussed and we went along to one place. That very close place turned out to be quite a car ride away, but it was in a nice residential area and the walk was easy enough. (Most people staying around there seemed to have their cars.) We had a pretty nice room with a bathroom. There was a common kitchen we could use but we weren’t going to be there long and had plenty of food options to enjoy. We paid 60zl, about $18.75 each. Not much more than we’d pay for a dorm too far out of town to walk. I’m sharing the photo so you can see the mountain/Swiss chalet-style homes, but I’m not recommending anyone stay there. I don’t even have the name of the place. Now that we were set for the night, we could go explore the town. But that’s enough for this post. On to the next, which features a walk through the town. To remind you, I didn’t have much to carry. 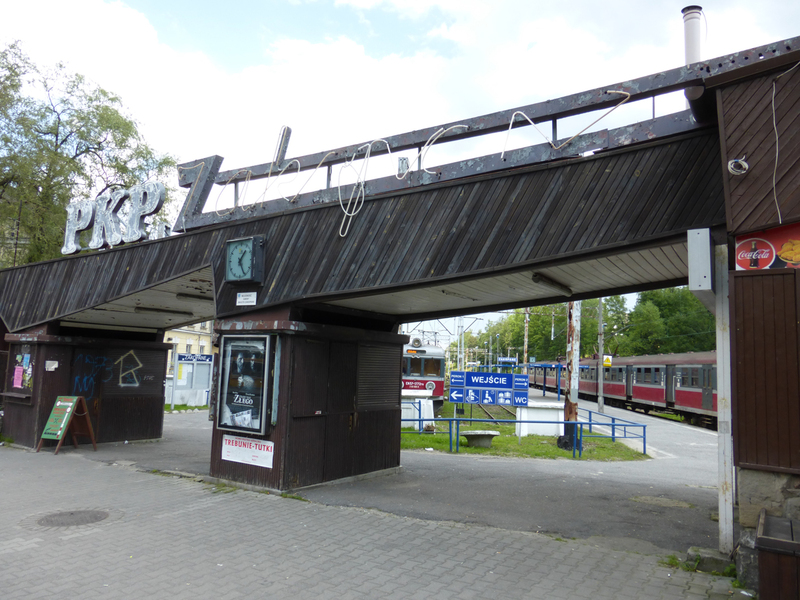 I’d left my too-big backpack in a closet in Krakow for just a night to spend a night in Tarnow. That was 9 days earlier. I was just travelling with had my light-weight stuffable Chicobag daypack and Chicobag Crossbody bag. All I had was my very stuffable down sleeping bag, a few shirts, maybe two skirts, and minimal toiletries.